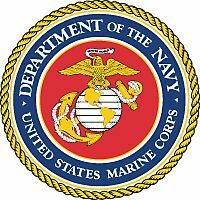 The Naval Order of the United States is proud to announce that Sergeant Major Micheal Barrett, USMC (Ret.) will be recognized during our annual conference in Honolulu as a recipient of the 2016 Distinguished Sea Service Award. SgtMaj Micheal Barrett was the 17th Sergeant Major of the Marine Corps. Micheal P. Barrett was born in Niagara Falls, N.Y. and raised in Youngstown, N.Y. SgtMaj Barrett enlisted in March 1981 and completed recruit training at Marine Corps Recruit Depot, Parris Island, S.C and infantry Training School at Camp Lejeune, N.C. He then served in a variety of billets from Grenadier to Platoon Sergeant. In August 1984 he transferred to Inspector-Instructor duty with 2nd Battalion, 25th Marines, New Rochelle, N.Y. As a sergeant in September 1987, Sergeant Barrett was assigned to 3rd Battalion, 9th Marines. During the Gulf War he deployed forward with Task Force Papa Bear. In 1992 he was ordered to Drill Instructor School, Marine Corps Recruit Depot, San Diego after which he was assigned to Company F, 2nd Recruit Training Battalion, as a Drill Instructor, Senior Drill Instructor, and Chief Drill Instructor. In September of 1996, Gunnery Sergeant Barrett was transferred to Marine Security Company, Camp David, Presidential Retreat, for duties as the Company Gunnery Sergeant and liaison to the United States Secret Service. After Camp David, First Sergeant Barrett was transferred to 3rd Battalion, 4th Marines, Twenty-nine Palms, Calif., as India Company First Sergeant in August 1998. In April 2000 he was assigned to Headquarters and Service Company. His tour culminated in June 2002 as the Senior Enlisted Leader of Weapons Company. Sergeant Major Barrett was then assigned to Recruiting Station Cleveland, Ohio as the Recruiting Station Sergeant Major. SgtMaj Barrett transferred to 2nd Battalion, 7th Marines in May 2005, where he completed two combat deployments in support of Operation Iraqi Freedom. In October 2007 he was assigned as the Sergeant Major of Officer Candidates School, Quantico, VA. SgtMaj Barrett was selected as the 1st Marine Division Sergeant in June 2009. In December 2009, he assumed the duties as I Marine Expeditionary Force (Forward) Sergeant Major. He deployed to Operation Enduring Freedom where he became the NATO Regional Command (Southwest) Command Sergeant Major for Nimruz and Helmand Province, Afghanistan. Sergeant Major Barrett assumed the post of 17th Sergeant Major of the Marine Corps on 9 June 2011. His personal awards include the Legion of Merit, Bronze Star Medal with combat “V” and gold star, and the Presidential Service Badge.